Disclaimer: I'm not a fan of Trump. I just have an awkward sense of humour. There are various reasons why many young Muslims today are asking themselves, "How is Islam relevant in my life?". The rise of secularism, terrorism, post-modernism, atheism, humanism and movements in relation to LGBT rights, women's rights and human rights are a few of those reasons. As Jeffrey Lang asserted, Muslims are having intellectual conflicts and without continuous review and critical analyses of Islamic scholarly texts and how they are applied in today's context the way Islam is interpreted and practiced can become detrimental and problematic. Muslims in the West, and in other parts of the world too, feel there is a clash between the culture they grew up in and the culture of Islam. While the dissimilarity between Islamic culture and popular culture, for example, can be an argument for why Islam is appealing to many, the essence of Islam and its message align with 'Western' values, such as the equity and equality of women and the sanctity of human life. However, when we don't focus on what is crucially needed in our communities the beauty of Islam is not translated into our actions and the reality we live in. Over the years I've learned Islam and Muslims are nuanced and diverse enough to address the concerns of many of the aforementioned movements. The broad-brush strokes with which the Muslim global community (ummah) has been painted with will only deepen and widen the crevasse that not only exists among Muslims but also between Muslims and non-Muslims. Before I continue, I'd like to clarify this is an opinion-piece I've written very quickly within an hour and I acknowledge it requires further deliberation and elaboration. But I have something to say and it's been a while since I've written a Faith Friday post. Dare I say, sometimes when I see Muslims I don't necessarily see Islam. What I mean by this is I see an increase in harshness, disunity and lack of sincere concern for each other, or a degree of meanness in how we choose to express our concern, among our community. I'm quite sure I've made the same mistakes. It's as if we have started to believe we are 'islands'. Some of us have reduced worship (ibadah) to individualistic, narcissistic feel-good experiences and become selfish or egocentric people who don't realise how interdependent we are and how our actions or lack thereof may have an adverse effect on others. But it doesn't have to be this way. Two weeks ago, I met an openly gay Muslim man who is raising his Muslim son with his partner. I was in awe of how he named his son after two prophets of Islam and reminded the 4-year-old boy to recite a prayer - 'bismillahirrahmanirraheem' (in the name of God the Most Gracious and the Most Merciful) before eating. He lovingly attended to his son throughout the entire time we were together, just like any parent would. The fact that he is raising his son to be a good Muslim (though this is a subjective observation) reflects the complex reality we live in but it's also a testament to his love for God and Islam. It's much easier to not practice Islam at all, especially in a secular country like New Zealand. Unfortunately, some Muslims might feel they wouldn't be able to befriend this man or welcome him into their community as an openly gay Muslim. But who are we to stop anyone from coming the mosque and trying to practise Islam to the best of their ability? Indeed, we do not live in a utopia and we shouldn't try to create one either but we can learn to treat each other better and support one another in various ways that would be pleasing to Allah. Although Mohammed Ghilan didn't write this article to address the existence of LGBT Muslims, I'd like to quote a passage from his article Islam, Muslims, and Delusions of Utopia. To believe that early Muslims were a perfect community is to believe in fantasy. If such a belief was innocuous it would not warrant addressing. However, despite the Sunni position that infallibility is a characteristic of Prophets only, most Sunni Muslims effectively treat the Companions’ generation as if they were infallible. The harm here comes in the imagined idea that the Companions’ time was a time of Muslim Utopia. In fact, it is not uncommon for many imams and teachers to use the fiction of a Muslim Utopia to flagellate the Muslim community in their attempts to whip them into pious shape. The Islam as it was taught by the Prophet ﷺ is a much simpler one in its theology and law. But today, for one to be a “proper” Muslim, it is not enough to declare a belief that there is no other deity except God and that His Messenger is Muhammad ﷺ, observe the pillars of Islam, and acknowledge a belief in the pillars of faith. Rather, modern Muslims have a situation where if one upholds a valid juristic ruling on a matter risks being ostracized and in some cases excommunicated if it is unacceptable by whoever has decided they were the community’s pope. 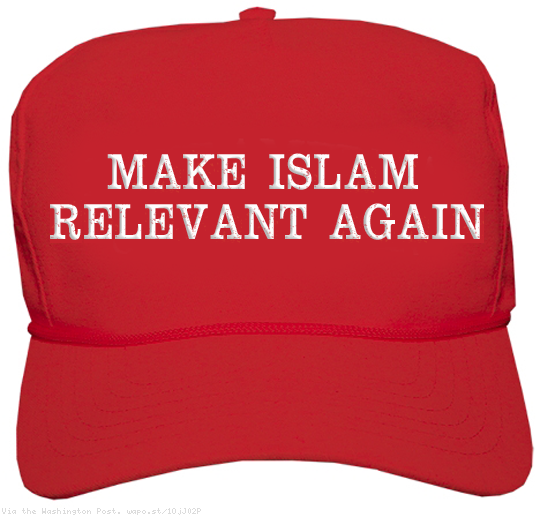 I'm not advocating for the reformation of Islam nor the acceptance of what is haram (forbidden) as halal (permissible). I'm advocating for what is essential today, which is engagement, inclusion, compassion and reconciliation, especially between groups and individuals who have their differences. I'm highlighting the complexity of identity and faith many Muslims face today and that our tendency to ostracise people is not helpful. Having respect and a sense of responsibility towards one another goes both ways. The concept of shura (counsel) is useful here as the Prophet himself advised people several times instead of being hasty in punishment. This is because advise requires patience and sincerity but most of all, trust in God. Homophily - the tendency to bond with like-minded others - is natural. But the lack of awareness, understanding and appreciation for people who don't think or live like us creates an irrational fear towards the 'Other'. Unfair representation, especially of minority and marginalised groups, combined with lack of meaningful communication and interaction have led us to forget we have a lot more in common with each other than we think. God isn't affected by our disobedience or lack of compassion and love for each other. Whether we worship Him or not, the universe will still exist and the Earth will continue to orbit around the Sun. The essence of Islam isn't affected by what we do either. Rather, we are affected by our actions and the way Islam is practised and unfortunately, sometimes misunderstood and co-opted. 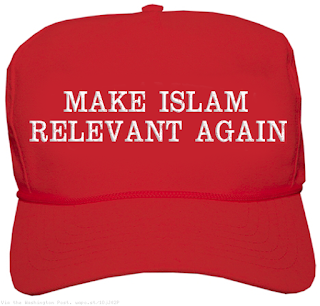 Only we can make Islam relevant again. Only we can keep the Islamic spirit of mercy (rahma), justice and love alive. One of the sayings of Prophet Muhammad (peace and blessings be upon him) that inspires me everyday is, "I was sent to perfect (or refine) moral character." How we choose to treat others is a reflection of our character and to coerce others to believe in the same God or to worship or live the way we do is a reflection of poor character and lack of faith and conviction. The stronger my faith is the more I should understand there is wisdom in everything He allows to happen and recognise the personal choices of others are theirs to make and balance this with sincere concern about their well-being, as well as the community's. It's not about being progressive. It's simply about being Muslim and identifying what is most essential in a given context. And the focus on character is one of the many reasons Islam will always be relevant in my life as it helps me to understand the Oneness of God and treat His creations with wisdom and compassion. Thanks for sharing, Sha. You always have observations that is truly beneficial as food for thoughts.